TobyMac was born on the 22nd October 1964, in Fairfax, Virginia, USA, and is a Christian hip hop artist, songwriter, music producer, and author, probably best known as a member of the Christian vocal trio DC Talk. TobyMac had 20 singles on Billboard’s Christian Songs list and is a Grammy-awarded musician, significantly increasing his net worth. TobyMac’s career started in 1987. Have you ever wondered how rich TobyMac is, as of mid-2016? According to authoritative sources, it has been estimated that TobyMac’s net worth is as high as $10 million, which in addition to being a successful Christian rapper, has also been acquired from writing books, appearing in commercials, and on television and in film, which have also improved his wealth. Kevin Michael McKeehan started his musical career in 1987 when he and Michael Tait formed the DC Talk band at Liberty University. A year later, they added Kevin Max Smith to the band, and the trio released their first, self-titled debut album in 1989. Their first gold album “Nu Thang” came out in 1990, and in the following year they released their first platinum album called “Free at Last”. DC Talk became mainstream after appearing on “The Jay Leno Show” and The Arsenio Hall Show, and then recorded the multi-platinum album “Jesus Freak” in 1995. The band recorded one more album in 1996 named “Between You and Me”, and then broke up in 2001. TobyMac then launched his solo career with his studio album “Momentum”, which topped the Billboard Heatseekers chart in November that year, and was nominated for a Grammy Award. His next album “Welcome to Diverse City” in 2004 went gold, and his single “The Slam” featured in numerous movies, commercials, and video games. Tobymac’s third solo album in 2007 entitled “Portable Sounds” reached No. 10 on the Billboard 200, and the songs from it were also used for commercial purposes, which generated a lot of money to his bank account. 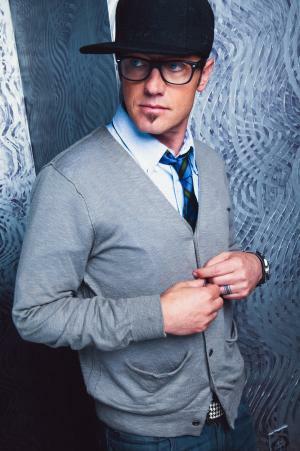 In 2010, TobyMac’s fourth album called “Tonight” was released, and reached No. 6 on the Billboard Top 200, and No. 1 on the Billboard Christian albums chart. The song “City on Our Knees” was also popular, and was used in NCAA basketball and the NFL. The next year, his full-length Christmas album “Christmas in Diverse City” came out, in collaboration with numerous guests such as Owl City, Arch Nemesiz, Jamie Grace, Superherose, Byron “Talkbox” Chambers, Leigh Nash, Victor Oquendo, Todiefunk, and Tim Rosenau. TobyMac’s fifth studio album “Eye on It’ (2012) debuted on the Billboard 200 at No. 1, the first Christian album since 1997 to achieve that success, and it also won a Grammy for the Best Contemporary Christian Music Album. Most recently, TobyMac released his latest album called “This Is Not a Test” in 2015, and it brought him another Grammy Award. Additionally TobyMac is the president of the record company named the Gotee Records. TobyMac is also the author of five books: “Jesus Freaks: DC Talk and The Voice of the Martyrs – Stories of Those Who Stood for Jesus, the Ultimate Jesus Freaks”, “Jesus Freaks: Revolutionaries: Stories of Revolutionaries Who Changed Their World: Fearing GOD, Not Man”, “Under God”, “Living Under God: Discovering Your Part in God’s Plan”, and ”City on Our Knees”, which have added to his next worth. Regarding his personal life, TobyMac married Amanda in 1994, and they have five children and reside in Franklin, Tennessee. 1 The way you get the Extreme's attention, is to be extremely passionate about whatever it is you are passionate about. I am passionate about God, about Jesus, and what His influences do to me. It's what accepting God's grace has done to me. 2 Life is serious, but I do think that God wants us to enjoy the things He's given us, like music. 5 Toby and his wife Amanda adopted twins, a girl and a boy, who are African-American and Caucasian. 6 Given his name by his older brother who said he was going to be born in the month of "Tober"
7 Some of his greatest hits, along with his group, DC Talk, are Walls (1990), Luv is a Verb (1992) Jesus Freak, Colored People, and Just Between You and Me (all 1995) and Consume Me, Into Jesus, and Red Letters (all 1998). 9 Known for doing stunts and running into crowds at concerts. 10 Brother-in-law of Audio Adrenaline lead singer Mark Stuart. 12 Went to Liberty University in Virginia where he met bandmates Michael Tait and Kevin Max. 13 Played on 2 state championship basketball teams in HS. War Room 2015 performer: "Me Without You Capital Kings Remix" - as tobyMac / writer: "Me Without You Capital Kings Remix"
Chic 2015 Short performer: "Backseat Driver" / writer: "Backseat Driver"
Christian Mingle 2014 performer: "Me Without You" - as TobyMac / producer: "Me Without You" / writer: "Me Without You"
Won't Back Down 2012 performer: "One World" - as TobyMac / writer: "One World"
Never Back Down 2008 performer: "The Slam" - as tobyMac / writer: "The Slam"
The Pirates Who Don't Do Anything: A VeggieTales Movie 2008 writer: "What We Gonna Do?" The Game Plan 2007 performer: "Feelin' So Fly" - as tobyMac / writer: "Feelin' So Fly"
The Fast and the Furious: Tokyo Drift 2006 performer: "Ooh-Ahh" - as Tobymac / writer: "Ooh-Ahh"
Big Momma's House 2 2006 writer: "Ooh Aah"
In the Mix 2005 writer: "Catchafire Whoopsi-Daisy"
Left Behind III: World at War 2005 writer: "All You Got"
Hangman's Curse 2003 writer: "Extreme Days"
2013 Grammy Grammy Awards Best Contemporary Christian Music Album For the album "Eye on It."